Suppose you have a command-line application that uses some number of, oh, let’s say “connections”. Most of the time, a user will want the same number of connections, so you’ll let them set a personal default in a configuration file. Sometimes they want to change the default. Maybe they’ll want a one-time change; for that, a command-line option is best. But sometimes they’ll want to make the change for an entire login session; for that, setting an environment variable is most convenient. The User-Choices gem gives your code a unified interface to all those sources. Your code can obey the user’s choices without having to bother (much) about how she made them. 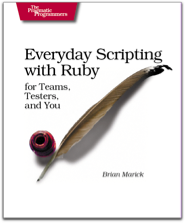 This version is derived from the one used in Part 4 of Everyday Scripting with Ruby. However, there are minor incompatible changes to the interface. Sorry about that. In return, you can now use YAML for configuration files, and empty argument lists are handled more gracefully when choices can also be made in the environment or a config file. Agile 2008 will be arranged around the metaphor of a music festival. There will be a main stage for the big-draw speakers, the larger tutorials for novices, etc. 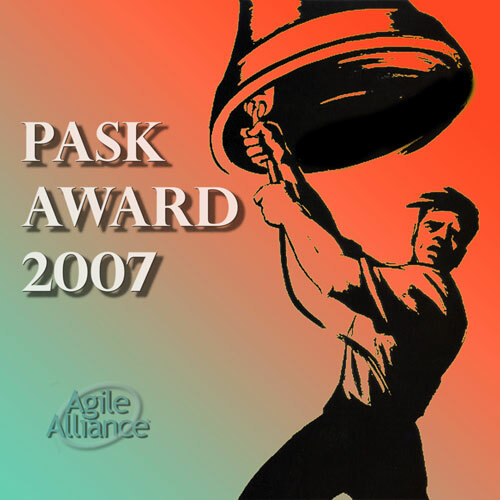 The 2007 winners of the Gordon Pask Award for Contributions to Agile Practice are Naresh Jain, for his work establishing user groups in India and for the Simple Design and Testing conference; and Jeff Patton, for his work helping establish what User Centered Design means in Agile (including the agile-usability group) and for being an example of the usefulness of being fluent in two fields (programming and UCD). We also broke from our charter to create a new award—the Ward Cunningham Gentle Voice of Reason Award—and awarded it to Dale Emery for what he’s done on the XP and other mailing lists, and in person; and also for his work creating environments where change happens (rather than, as J.B. Rainsberger put it, “inflicting change on people”). As always, the offer is good until I get tired of going to the Post Office or my inner cheapskate rebels. I will mail overseas. I’m tickled that the stickers went to Europe, China, Australia, and elsewhere. 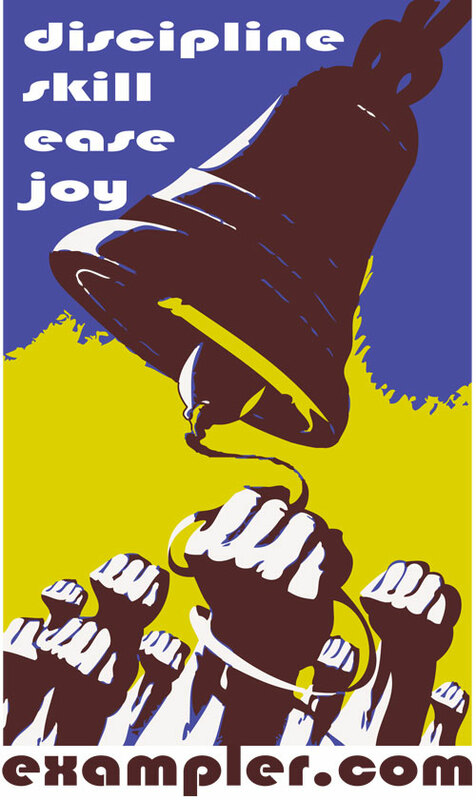 I like reading the Unclutterer site, in more of an aspirational than practical way. Inspired by their survey of reader workspaces, I present mine. I’ve recently finished optimizing its physical and musical environment with four decent to excellent products. 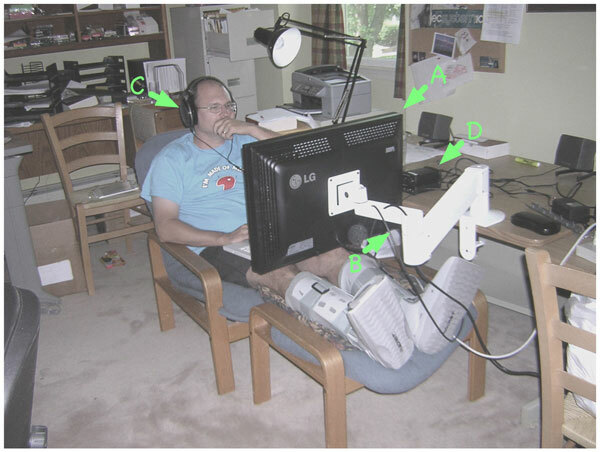 If you crave pampering your proprioception and hearing, read on. What does that mean? How will it play out?